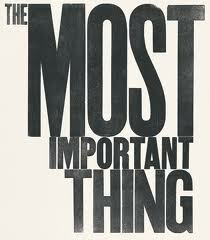 The Most Important Thing About You? What is the most important thing about you? Your profession? Your personality? Your finances? Your kindness? Your compassion? Your family? Your looks? Your stuff?